The inter-parochial school underwent extensive upgrades. The restrooms were revamped for full accessibility by the physically disabled. New lighting, electrical power, and data cables were installed ensuring functionality and connectivity throughout the entire facility. New HVAC controls and windows have also been installed for a more energy efficient plant. An elevator achieves barrier-free accessibility to the lower (gymnasium) level. The worship space interior was next in the phasing plan, with a new parish hall extension to round out the master plan. The previous renovation to the worship space was made to suit the liturgical reforms dictated by Vatican II. Although functional, it lacked in finish and form, two characteristics that many expect from ecclesiastical architecture in the sacramental tradition. The narthex is larger in plan and volume with a rose-window introduced for natural light. An area for a separate chapel houses the reservation of the Blessed Sacrament. New specially designed lighting fixtures, furnishings, shrines, and artifacts were installed. 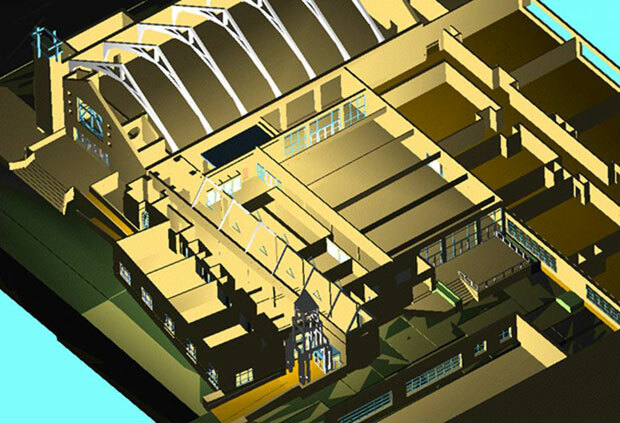 As the final phase of the master plan, the parish hall now acts as an extension of hospitality initiated in worship. Connected to the worship space on the south wall, it was conceived to invite natural light, yet respect the qualities of energy efficiency associated with passive solar design. 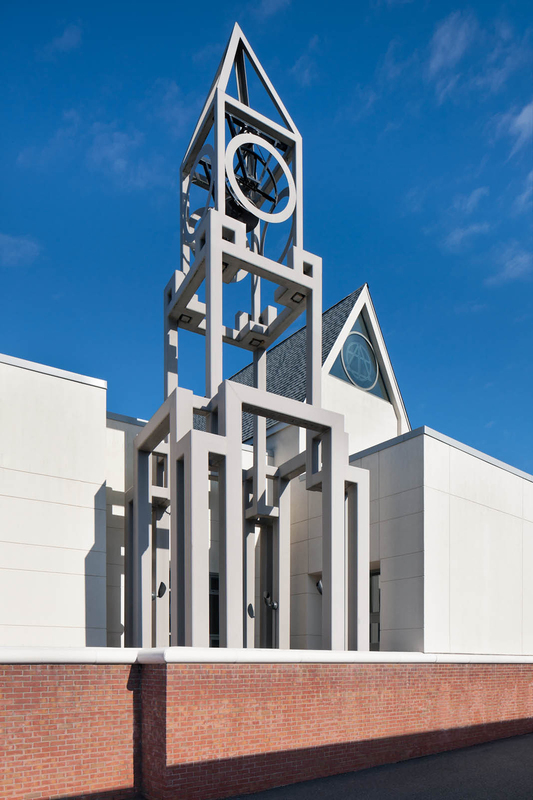 Punctuated by a skeletal bell tower, the galleria-like spine unifies the design and reinforces the processional path, especially during the Easter Vigil from the first fire located on the sports field. It is also the barrier-free entrance to the worship space and community center.